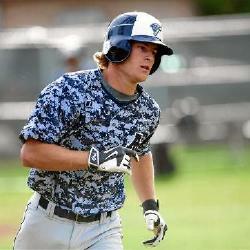 Former Arroyo Grande High School Baseball star Ryan Teixeira died Saturday at the age of 20. Teixeira had been battling two forms of cancer over the last two years. 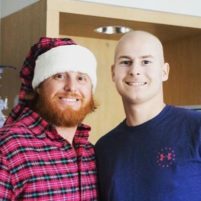 In 2015, Teixeira’s senior year at Arroyo Grande High, he was named San Luis Obispo County player of the year by the Tribune, despite developing a tumor in his right thigh and being diagnosed with Ewing Sarcoma, a rare form of cancer. Teixeira batted .377 and led his team to a league championship before having his season cut short by his condition. Teixeira underwent chemotherapy and became cancer-free. But, last year, he was diagnosed with leukemia after catching a cold. Recently, Texiera received a bone marrow transplant from his younger brother, Aaron Teixeira. In the days following the transplant, Ryan Teixeira’s condition worsened. On Saturday night, Texieira’s grandmother Cee Teixeira announced her grandson had died. “Tonight our fearless warrior won his victory… at 7 p.m. Ryan went home to be with Jesus… It was very peaceful for Ryan… we know he’s running around heaven shaking hands telling everyone he’s Ryan… our hearts are broken… but god still reigns and he is still on his throne,” Texieira’s Cee Teixeira wrote on a Caring Bridge page. Teixeira earned a scholarship to play baseball at Colorado Mesa University. He never played a game in college, but on Sunday, Colorado Mesa listed Teixeira as the third baseman on its lineup card. No one came out to play third base for the first pitch of the game. Then, prior to the next pitch, Teixeira’s longtime friend and former Arroyo Grande High School teammate Garrett Ball entered the game at third base. The Colorado Mesa team also honored Teixeira by writing his number, 17, on the field. Heartbreaking news. Condolences to the family.